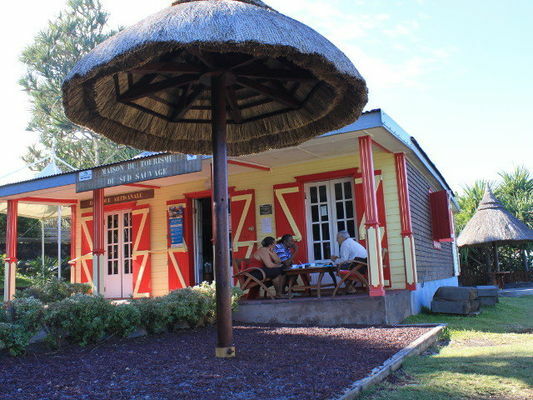 Situated in Manapany les Bains, the Tourist Centre for the Sud Sauvage (Wild South) is a reception, information and reservation point for the many tourist services on offer across the island: hikers gites, Gîtes de France gites and rooms, Clévacances seasonal rentals, Creole hotels, and nature activities. The Sud Sauvage (Wild South) has a range of possibilities on offer to nature lovers, including hiking, horseback outings, paragliding, mountain-biking and heritage visits. Two tours are of particular interest: the Creole Villages and the Chemin des Artisans. Open Monday to Friday from 9.30 a.m. to 12 p.m. and from 1pm to 5.30pm, Saturdays from 10 a.m. to 5 p.m.